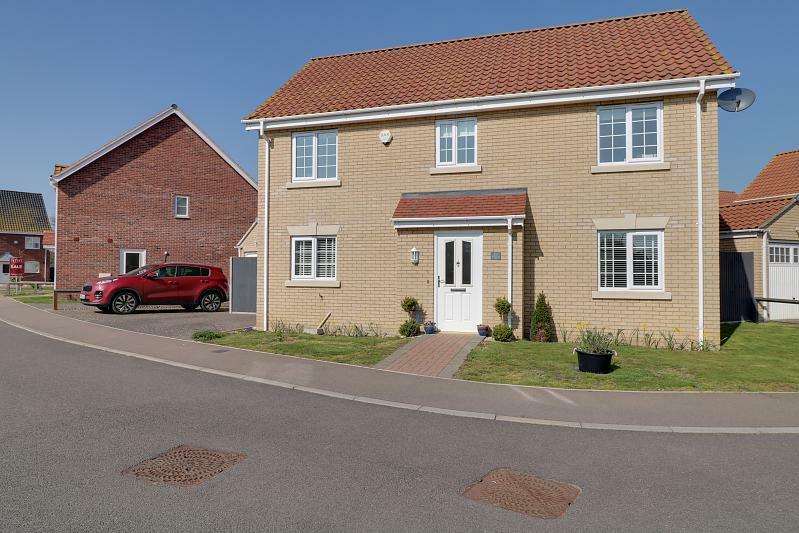 This four bedroom detached family home is situated in the popular village of Lingwood close to all amenities, facilities and shops etc. 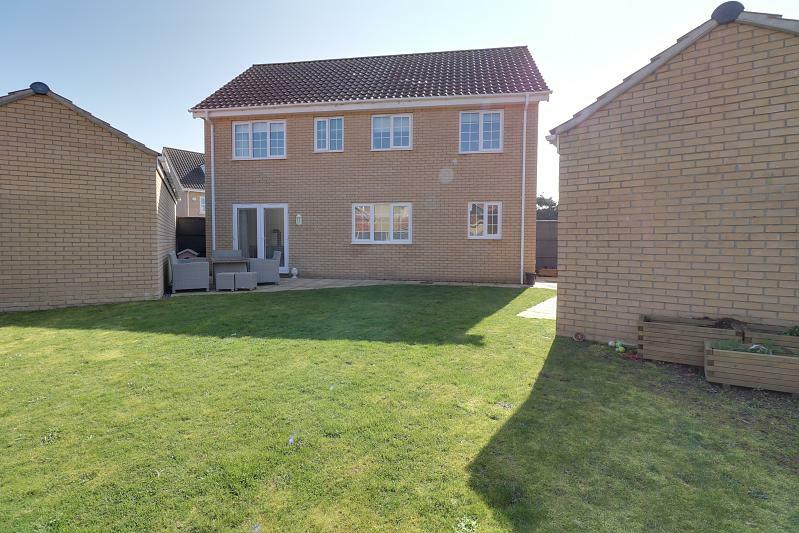 The property stands on a commanding corner plot with field views to the front and with the added advantage of an oversized detached garage with driveway parking for two/three cars side by side and the option to convert some of the front garden also to additional parking should that be desired. Colonial style oak panel doors style and smooth finish ceiling throughout the property. 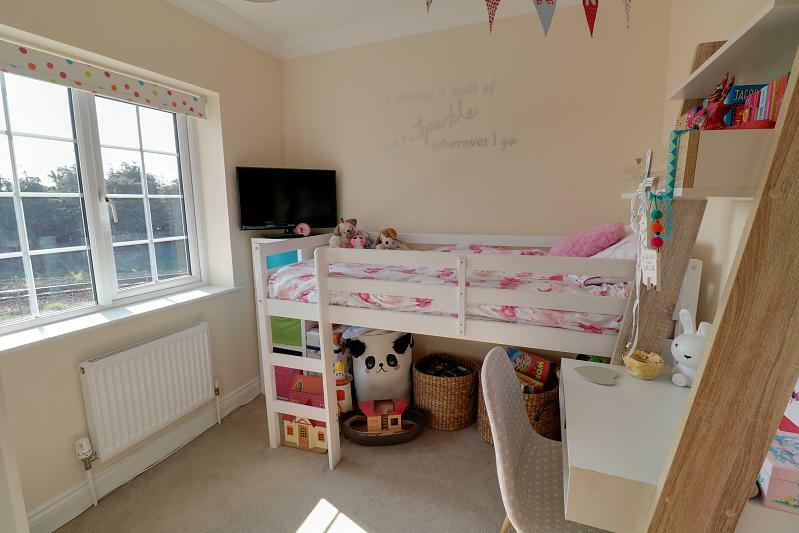 Understairs storage cupboard, telephone point, smooth finish ceiling, alarm panel for security system, double radiator, inset coir mat and laminate flooring. Doors leading to lounge and six panel glazed door through to kitchen. 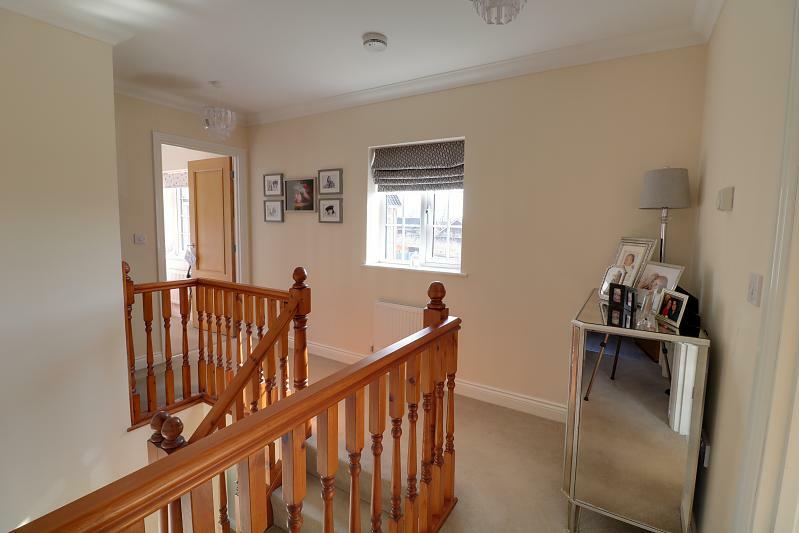 Stairs to first floor with balustrade. Dual aspect room with continuation of laminate flooring, smooth finish ceiling, Georgian bar style windows with uPVC to front aspect, French doors leading to rear garden with access to patio area. 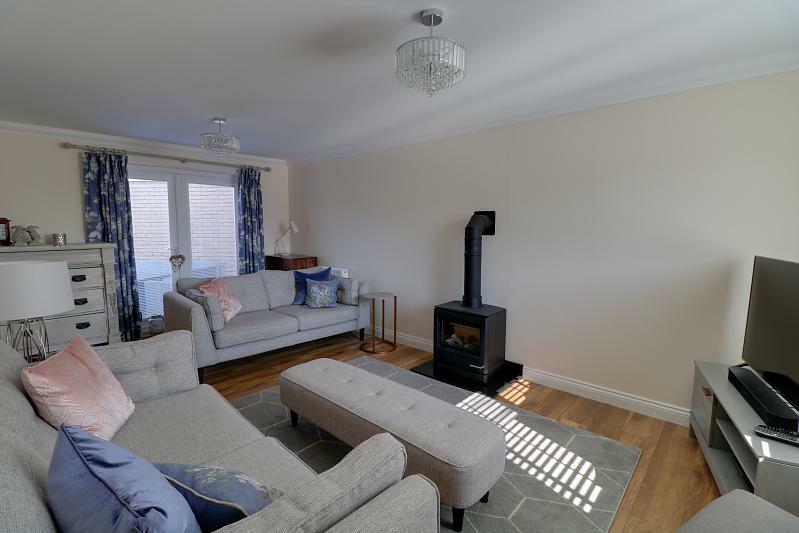 Double doors through to dining room and television point, telephone point, two radiators, gas fired log effect fire set upon a granite hearth making a nice feature within room. 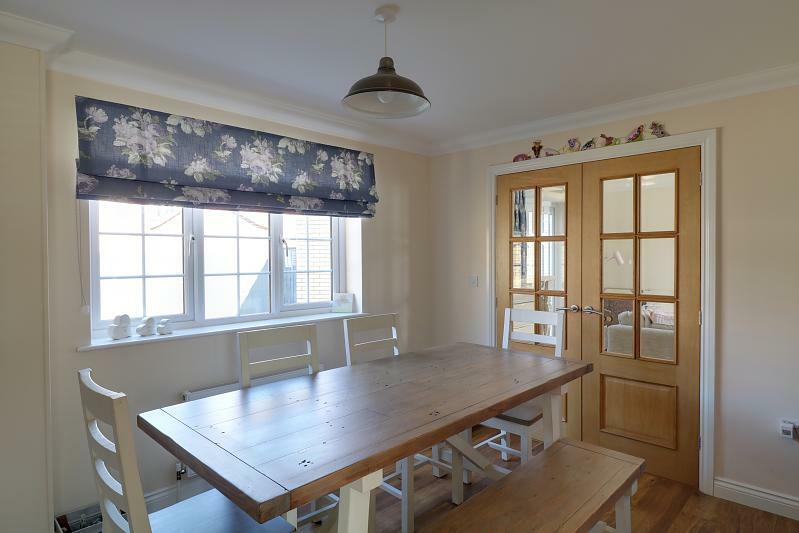 Six panel glazed and bevelled oak doors with stainless steel style handles, smooth finish ceiling, coving, uPVC Georgian glazed bar window to rear aspect, laminate flooring, radiator and further door through to kitchen. A range of cream high gloss shaker style units with oak effect roll top work surfaces over, vinyl flooring, smooth ceiling with inset spotlights, ceramic one a half bowl sink with incinerator food waste disposal unit and filter tap for drinking water, integrated Beko fridge freezer, integrated Beko washing machine, integrated full size Beko dishwasher all set beneath work surfaces, RangeMaster chimney style hood over a RangeMaster professional five ring cooker (available by separate negotiation), Ideal Logic System 24 gas boiler serving domestic hot water and central heating throughout the property, a range of tiled splashbacks, uPVC double glazed window to front aspect with Georgian detailing, door to dining room and door to rear lobby. 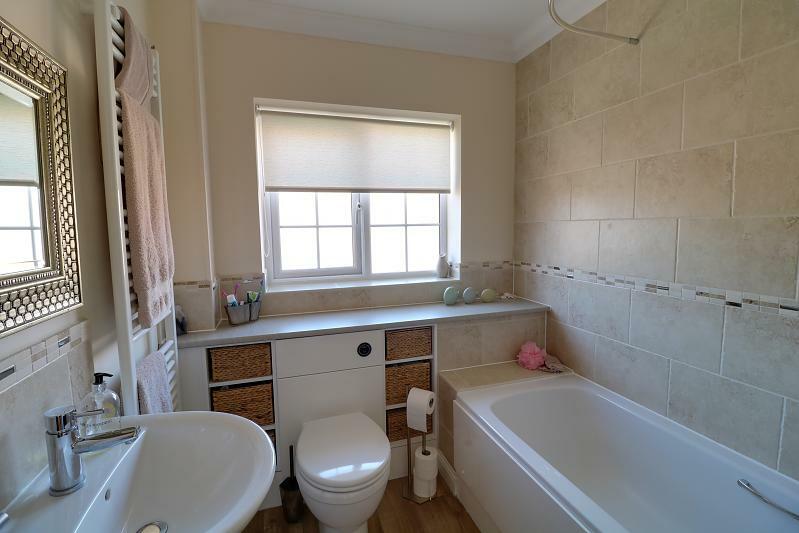 Continuation of vinyl flooring, radiator, uPVC obscured window to rear aspect, extractor fan, pedestal wash hand basin with stone colour splash back and close coupled WC with dual flush. 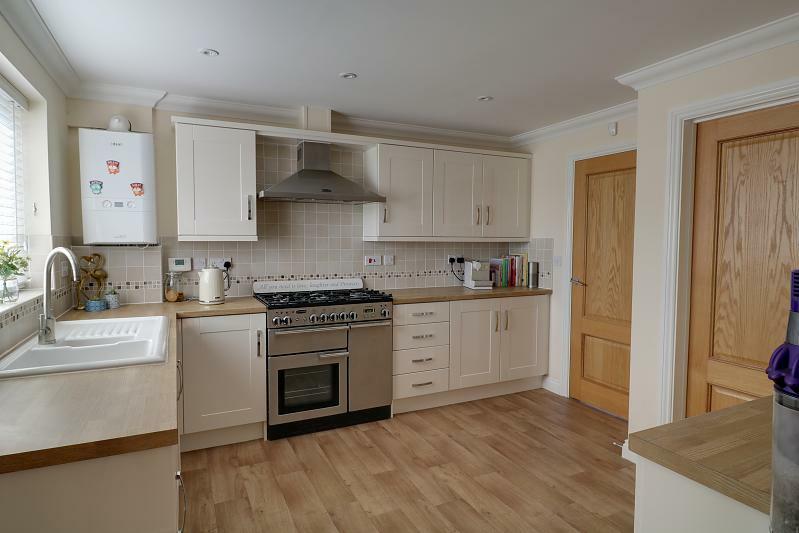 uPVC window to front aspect, thermostat, loft access, smooth finish ceiling, doors to all four bedrooms, family bathroom and airing cupboard with hot water system. Vinyl flooring, extractor fan, obscured glazed window to rear aspect, large chrome towel radiator with thermostatic valve, bath with chrome coloured mixer tap and shower over on riser rail set within stone effect tiling to bath area and then to dado height around remainder of bathroom, pedestal wash hand basin, WC set within enclosed unit providing storage, shaver point. 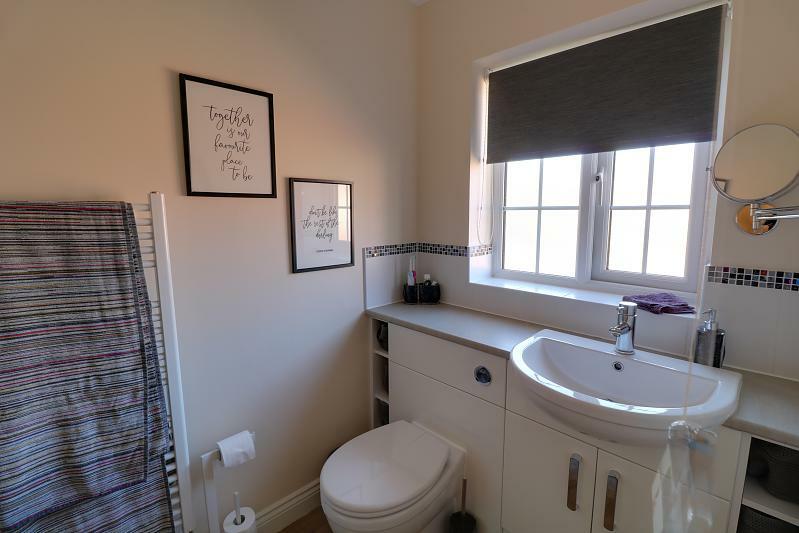 White towel radiator, vinyl flooring, extractor light above shower, mixer shower with riser in stainless steel colour, close coupled WC set within units, wash hand basin set in white high gloss fitted units and obscured uPVC window to rear aspect. uPVC window, radiator, television point, smooth finish ceiling. uPVC window to front, radiator, television point, smooth finish ceiling. uPVC window to front aspect, radiator, television point, smooth finish ceiling. 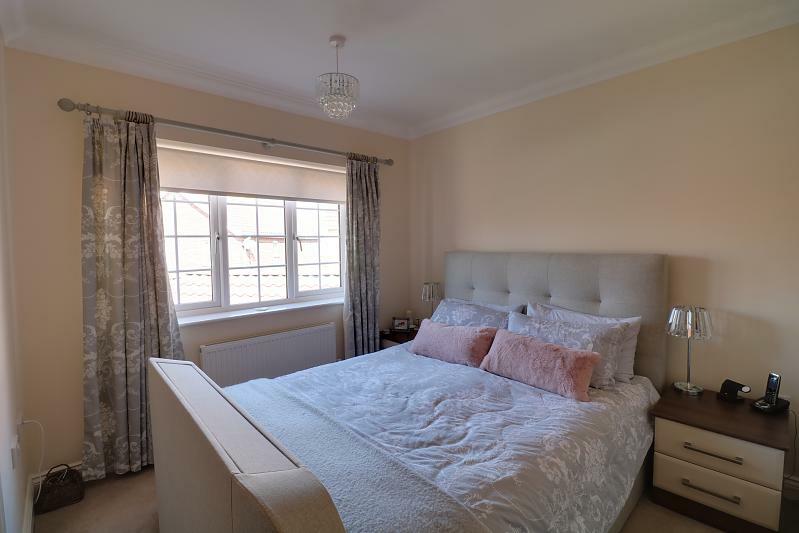 Mainly laid to lawn with plants and shrubs, outside tap, pathway to front door and tarmacadam driveway proving parking for two/three cars and with option to convert some of the front garden. 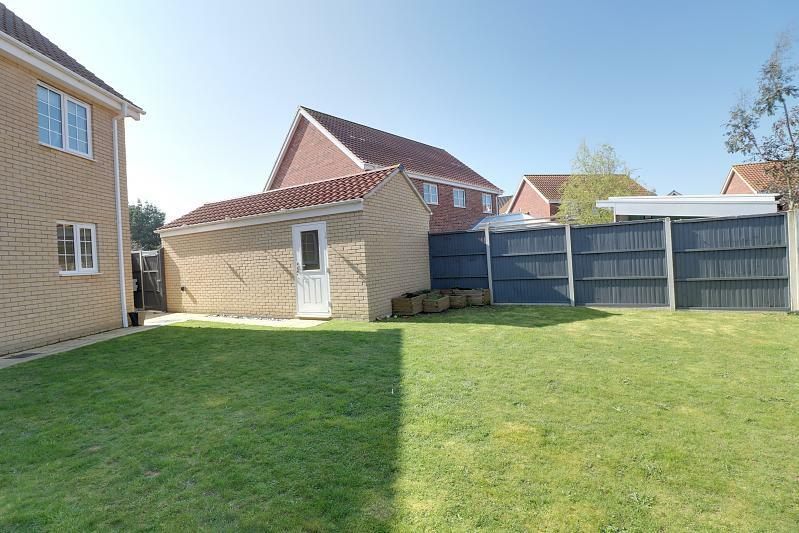 Over sized brick built garage with up and over door and pedestrian access door to rear garden. 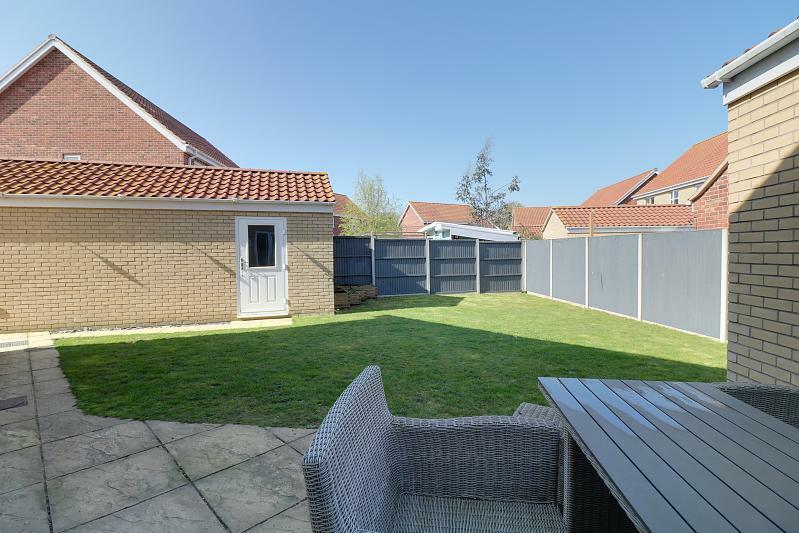 Enclosed by 6&apos; panel fencing, rear patio and pathway giving access to the oversized single garage and gate to front.